Dru Chen is teaming up with Beautiful Nights USA and Purple Funk Australia to bring his old-school inspired soulful sounds to a new audience. Chen was recently been added to the lineup of "The Ultim8 Prince Party," an event hosted by Beautiful Nights USA and Purple Funk Australia at 9 p.m. Nov. 22, Room 680, Melbourne, Australia. The night will also be the official CD release party for Heroine December's new album Target Practice-- a band headed by Maya and Nandy McClean, better known as The Twinz. He will serve as the night's opening act and will also be part of the headliners' backing band during their set. He has forged a successful career without the backing of a record label. He released his EP Intentions in February and the music video for his first single "You Bring Out the Best in Me," posted on YouTube eight months ago has had more than 19,000 page views. He has also been invited to play at music festivals around the world including Mosaic Music Festival in Singapore. He spent a significant amount of time this year touring Australia and Southeast Asia and will continue playing dates through the end of 2013. 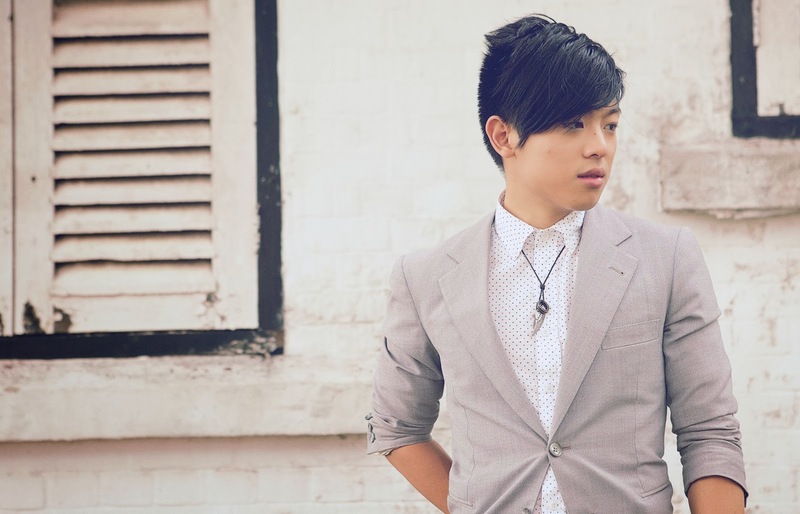 Chen split his time growing up between Singapore and Australia, which, he said, greatly influenced his musical style. He is a classically-trained musician, plays several instruments (including violin, piano, guitar, bass and drums) and has a degree in music technology, according to his Web site druchen.net. He discovered R&B, funk and soul music as teen, which, he said, had a tremendous impact on his musical direction.
? : How would you say that discovering the R&B, funk and soul genres as a teen changed your musical direction? DC: R&B stands for Rhythm and Blues. It gave me "rhythm," which taught me how to be funky and in the pocket. It gave me "blues," which is the feeling in the "blue notes," that gave birth to soul. I think every musician should give R&B, funk and soul (music) a try. There's just so much music and culture that came from (those) traditions and (that) lineage: from early Motown (artists) and The Parliaments (Doo Wop) to Sly & The Family Stone and Funkadelic (Psychadelic Soul) to Prince and The Revolution and Michael Jackson (Pop/Rock/Soul) to D'Angelo, (Erykah) Badu, (Raphael) Saadiq, J Dilla and The Soulquarians (Neo-Soul/Hip Hop) and now all the global, soulful cats today like DaM-Funk, Miguel and Frank Ocean who keep pushing and stretching things in all different directions. I hope I can, in some way, contribute to this tradition, coming at it from an Asian-Australian background.
? : You have managed to make quite an impact without being signed to a record label. What has the been the easiest part of navigating your musical career? The most difficult? DC: The easiest part is having the passion and background to help me do what I do. I studied music in school and learned the basic skills to analyze music. From there I studied the "Yodas," all the people I mentioned above, the people who have paved the way and gave me the inspiration to fly my inner funky freak flag. I also have friends in the music industry who mentor and guide me in an informal way, whom I can trust, I can be truthful with and who also confide in me. It's a tricky business, but, I am very fortunate to have made some very good friends in it. The most difficult part is keeping control, (being) level headed and not letting emotions and impulses influence (my) decisions. Everything takes 10 times longer than you think, which can be a good thing. (It) gives you time to grow as an artist and ruminate on the decisions you have to make.
? : What is your approach to songwriting? What inspires you? DC: A feeling. A vibe. I think my songwriting gets separated into two categories: "Confessional" and "Muso." "Confessional" is pretty self explanatory. "Trainwrecks" from Intentions EP falls into this category. I have a couple of new songs in this vein, written about my journey in music and in life. "Muso," as I call it, is Australian slang for a "musician's musician." I'll get inspired by a particular musical phrase or production idea by another artist and I'll transform that until I come up with my own thing. A lot of D'Angelo's "Voodoo" was made that way--like the groove from the ending of Prince's "New Position" becoming the basis for the drum pattern on D'Angelo's "Africa." My song (and the upcoming single) "Turnaround" from the Intentions EP falls into this "Muso" category. I was listening to some "sloppy" Sly & The Family Stone while looping a J Dilla-esque beat (and) I came up with my own cascading vocal harmony canon that turns around over and over.
? : How did you become involved with "The Ultim8 Prince Party" in Melbourne? DC: Marcus Scott, (of Beautiful Nights USA), saw me perform at my CD launch in Melbourne, Australia (earlier this year). We became fast friends and shared a passion for Prince and all things Minneapolis. He asked me if I wanted to be a part of the event. I didn't need to think twice!
? : What are you most looking forward to at the party? DC: Meeting everybody and making new friends! There's such a wonderful music community here, there and everywhere. For me, it's all about making the connections and getting to know people. I'm excited about working with Maya and Nandy from Heroine December. They're so lovely and down to earth.
? : How did splitting your time between Australia and Singapore growing up influence your life and career? DC: I lived in Singapore from the ages of 7 to 16. I started playing in cafes and bars at 14. Singapore is so small, with a beautifully supportive and tight music scene, but, I needed to break out and explore the world a bit more. 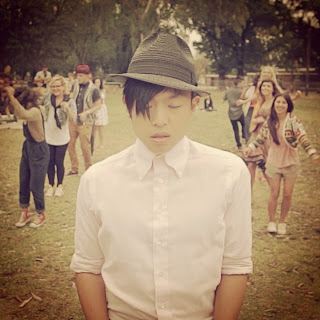 I moved to Brisbane in Australia at 17 to pursue a Bachelor's Degree in Music Technology. The sound and vibe of Australia was so different from Singapore. It took a while to adjust (and) naturally, influences from other local bands began to creep into my music. I was particularly inspired by the DIY (do-it-yourself) work ethic and musicality of a local songwriter/producer Yeo (yeo-yeo.com).
? : What was the process for putting together your Intentions EP? What inspired it? What do you like about it? In hindsight, is there anything you would have done differently? DC: The Intentions EP was created over the period of time when I moved from Brisbane, Queensland, a smaller city to Melbourne, Victoria, a bigger city. A change of scene always inspires me. I guess that's why I crave traveling and touring so much. I created the entire EP largely by myself, producing, arranging, engineering, and mixing everything. This DIY way of making music was inspired by musicians like Yeo, Stevie Wonder and Prince. These musicians have such a clear vision of what the final product will be like. It takes a long time for that to develop properly though and I feel I'm just starting to realize my sound, my vision, my brand, my feel. Collaboration is healthy and, in hindsight, I would have taken more time to bring in more outside collaborators to help me flesh out my ideas. Having said that, I did have some help, primarily on the first single, "You Bring Out The Best In Me" from Graeme Pogson (drummer from legendary local funk act The Bamboos), Josh Bridges (bassist and long time friend, from Mustered Courage) and some wonderful horn players. That definitely brought out the funky vibe of the track.
? : You have mentioned artists such as Stevie Wonder, Prince and D'Angelo, among many others, as musical influences. What is it about their music that speaks to you? DC: Stevie Wonder (is) the life affirming, quintessential funk and soul singer-songwriter. Stevie's grooves absolutely breathe. (He is) the most natural player. My favorite songs of his would be "Mary Wants To Be A Superwoman" and "Don't You Worry 'Bout A Thing." Prince: (He is) thought provoking with his vision, scope, visuals, stage shows, bombast, precision and skill. Prince just brought it so far left, yet, he still manages to appeal to so many. (He is) the true chameleon. My favorite album of his is "Sign O' The Times." D'Angelo: Very, very well crafted and curated discography so far. There's not a single song (of his) I don't like. D'Angelo is a perfectionist to the 100,000th degree. I think he proves that if you take your time and concentrate on the vibe, the results will be far more rewarding. Music is spiritual and so much more than words and notes on a page. D'Angelo's music is testament to that.
? : What other genres of music do you play and enjoy listening to? Who are your favorite artists in those genres? DC: Surprisingly, I like folk and acoustic singer-songwriter stuff, too, mostly from the 1960s and 1970s: like Simon & Garfunkel, James Taylor, Joni Mitchell and Van Morrison. I like the idiosyncrasies of their writing styles and and how personal the music is. I also have a soft --or heavy--spot for Metal. I grew up as a guitarist and I learned through Metallica and Megadeth. The craftsmanship in their songwriting, particularly the melodies, is so great. To Paraphrase Miles Davis, "There are only two kinds of music: good and bad."
? : Which artists would you like to collaborate with in the future? DC: I would love to work more with Maya and Nandy. I've got a few friends over in L.A. I'd love to work with as well. Shemika Secrest, whom I met on tour in the Philippines, has a truly amazing voice. Kimbra is also a new friend and I'd love to catch up with her. What a funky, talented lady!
? : What's in store for your fans as you continue to tour through the end of the year? DC: We've been working hard on our music video for "Turnaround," which will be the 2nd single from the Intentions EP. We're going to play some great shows, including a Funk & Soul Christmas Party on Dec. 12 at Ding Dong Lounge in Melbourne.
? : Do you have any plans to tour the United States in the near future? DC: I am planning to go to L.A. and a few other places in 2014 (and) would love to play some shows.
? : What do you hope to achieve in the next five years? DC: On the live front, I hope to play more festivals. I feel our funky uplifting sound suits a festival audience. In the studio, I want to really hone in on MY sound. Everything is a learning process and I have learned to take it in my stride and enjoy the journey. In the end, I just want to keep making good music and being honest with myself, my fans and fellow musicians. I am in it for the long run, so, I just want to grow and keep working at it.
? : What is your message for all of your fans and people who may now be discovering you in regards to your performance at "The Ultim8 Prince Party" ? DC: Thank you for your support. Y'all are funky all the way! "You Bring Out the Best in Me"
To purchase tickets for "The Ultim8 Prince Party" visit www.purplefunkaustralia.com. All photos courtesy of Dru Chen except where indicated.